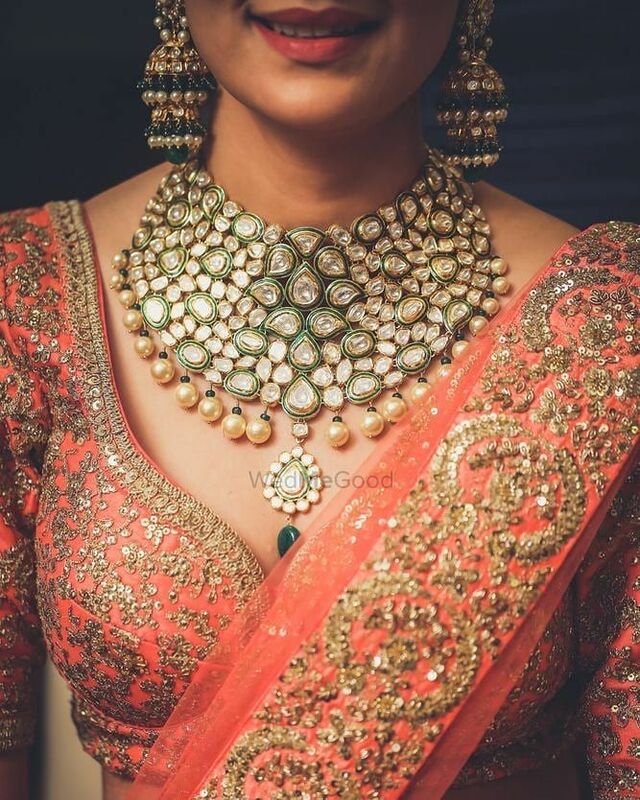 7 Necklace Styles That Will Get Your Jewellery Box Sorted At Your Wedding! 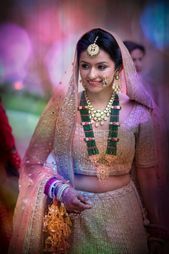 There are some basics that are essential for your trousseau, and jewellery is one of those basics. 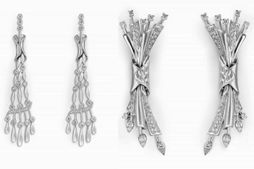 These are some classic to have your jewellery woes sorted. Here are some styles we highly recommend for brides! A choker is a necklace that fits close to the neck, whether it circles around the throat or the end of the neck where it meets the collar bone. It could be a single band, or something a little more grand with beads hanging from it. 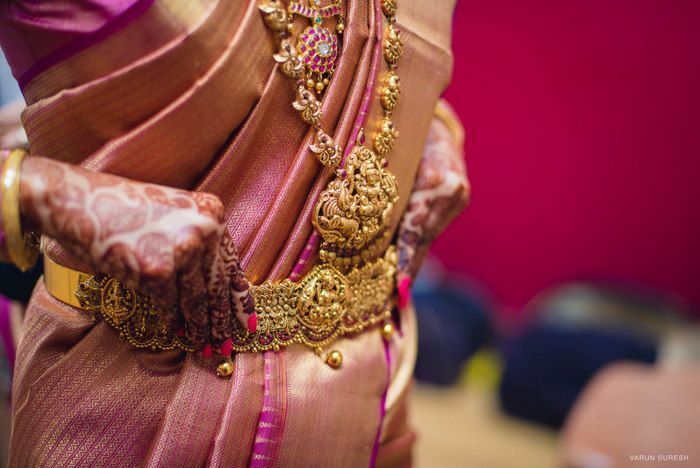 It's great for any kind of bridal outfit- right from a lehenga to a saree. It's got a modern look and gives the bride a very contemporary vibe. You could choose to wear a single one or layer it with a longer necklace. Best for: Engagement, Sangeet or Reception. 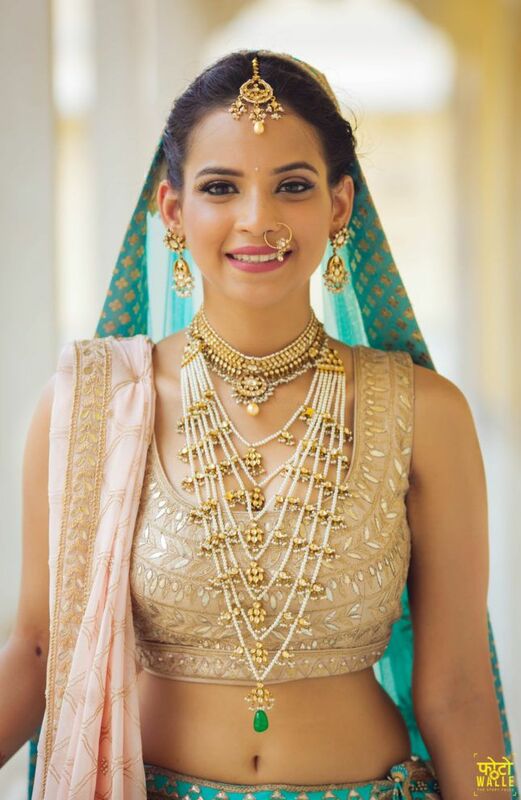 A diamond necklace is pretty versatile- you can wear it with Indian, fusion or even western outfits! 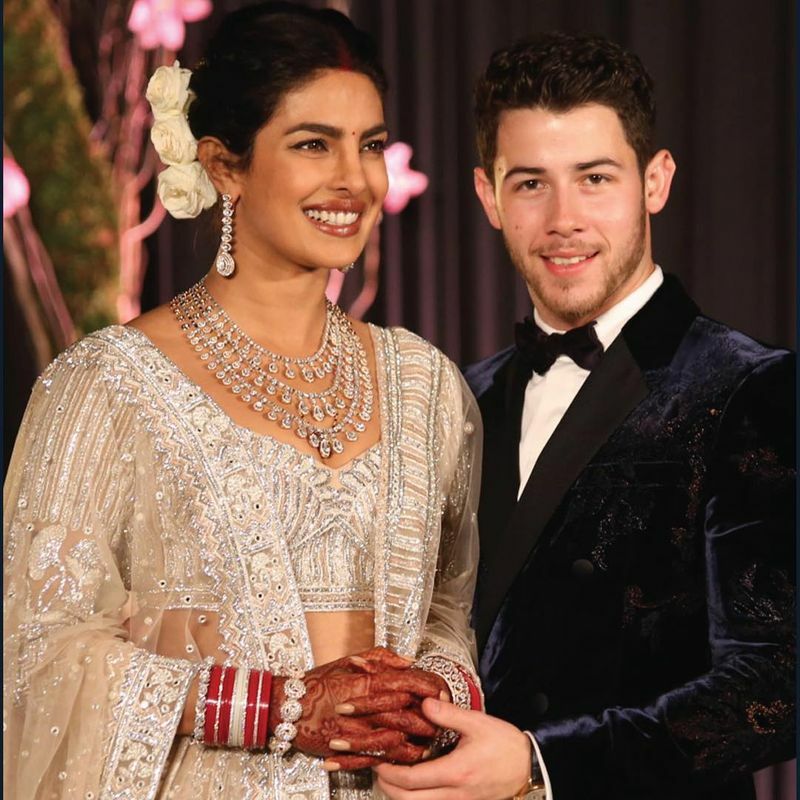 Priyanka Chopra rocked a super pretty one on her Reception, and we love how effortlessly glam it was! It's a glam look for functions like the engagement or reception, and whether it's thin or prominent- you can never go wrong with a timeless all-diamond necklace! Best for: Engagement or Reception. 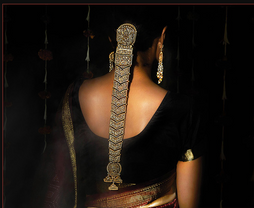 A rani haar is as majestic as it sounds and has been popular among royalty! 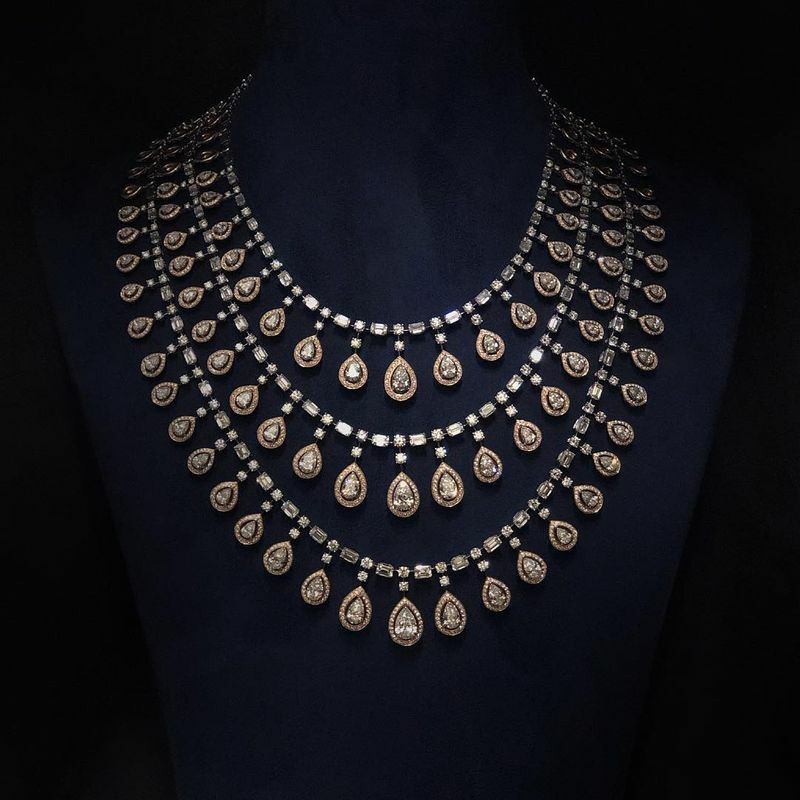 It's this long thick necklace with a single or multiple strands that is and mostly has Kundan, polki or other precious and semi-precious gemstones- the ones with meenakari or enamel work also look amazing! You can wear it as it is or layer it with shorter necklaces. Called so because it's shaped like a baby's bib, this necklace is heavy and pretty enough to be worn on its own or layered. It could be thin or thick and could have layers as well, but the basic shape is that which covers the collar bones. 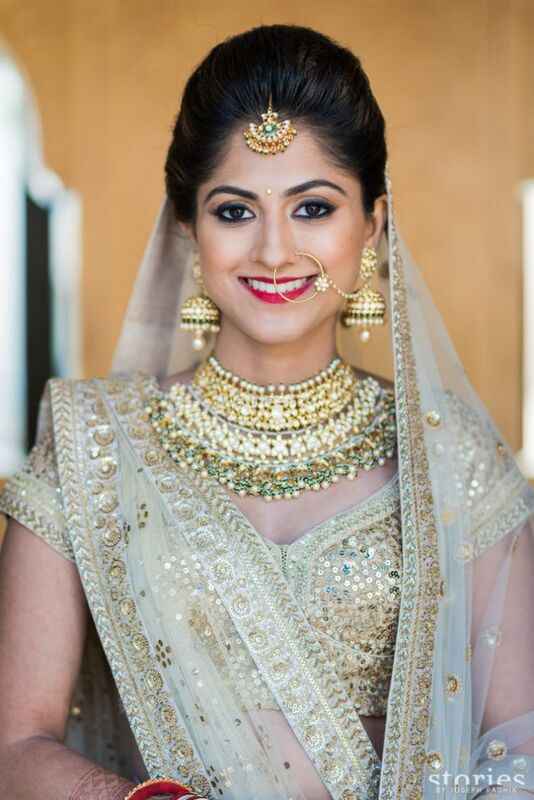 It's one of the most common ones we see on brides, but they are stunning and can make or break the look! This one really stands out! 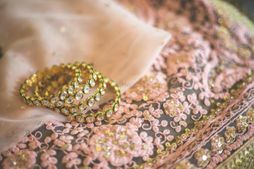 A satlada is called so because it has seven layers or tiers to it, and these are usually thin strands embellished with gems or pearls. It's super in these days and can be layered with a choker necklace or worn as it is. This especially looks good when the blouse is plain and stands out in contrast. It definitely puts the 'bride' in bridal! A meenakari necklace is one where 'lac' is inlaid to give a colorful feel. They are tribal inspired, gorgeous and so very classic. 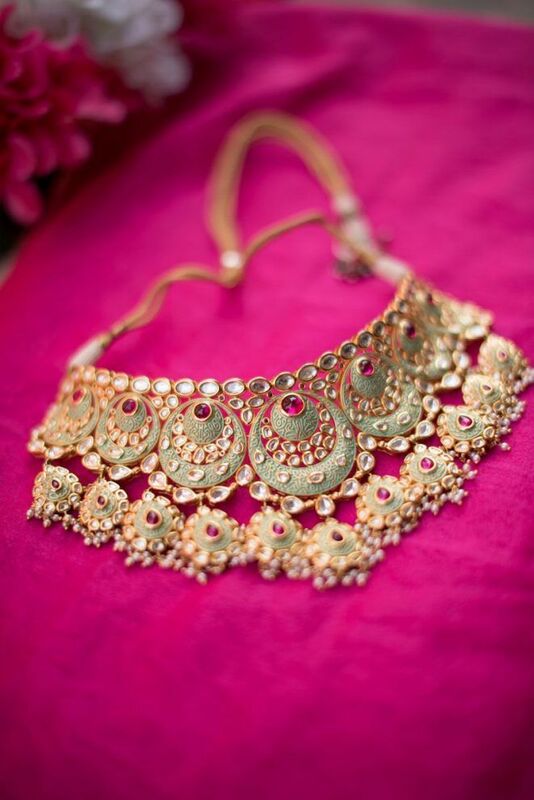 Temple jewellery is usually associated with South Indian weddings, but it's a great look to carry for any bride! Temple jewellery looks traditional and royal, but there are lots of modern variations available as well, with a traditional pendant being matched with coloured beads or a more contemporary chain around it! 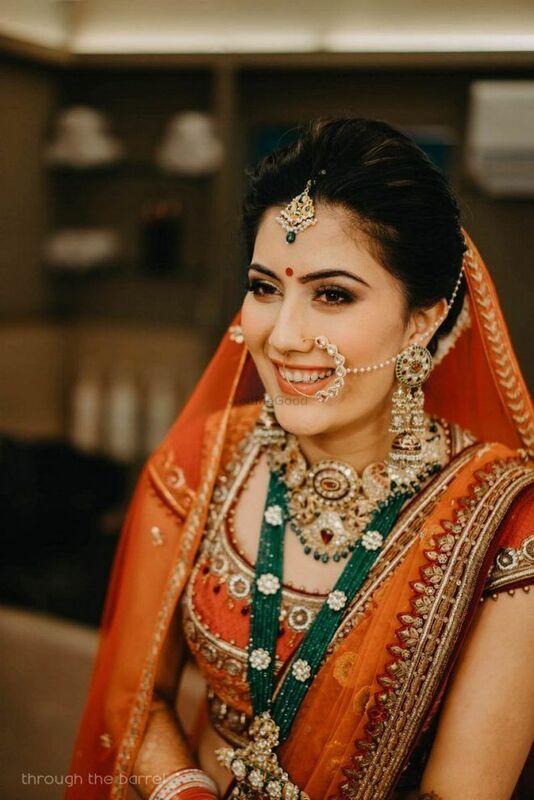 12 Cool Girl Ways to Photograph Your Bridal Jewellery! 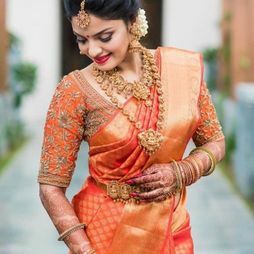 Do's & Don'ts: What You Should Know Before Buying The Best Bridal Temple Jewellery! 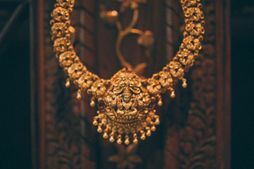 The Seven Best Places To Buy Temple Jewellery In Chennai! * Bookmark Them Right Away! 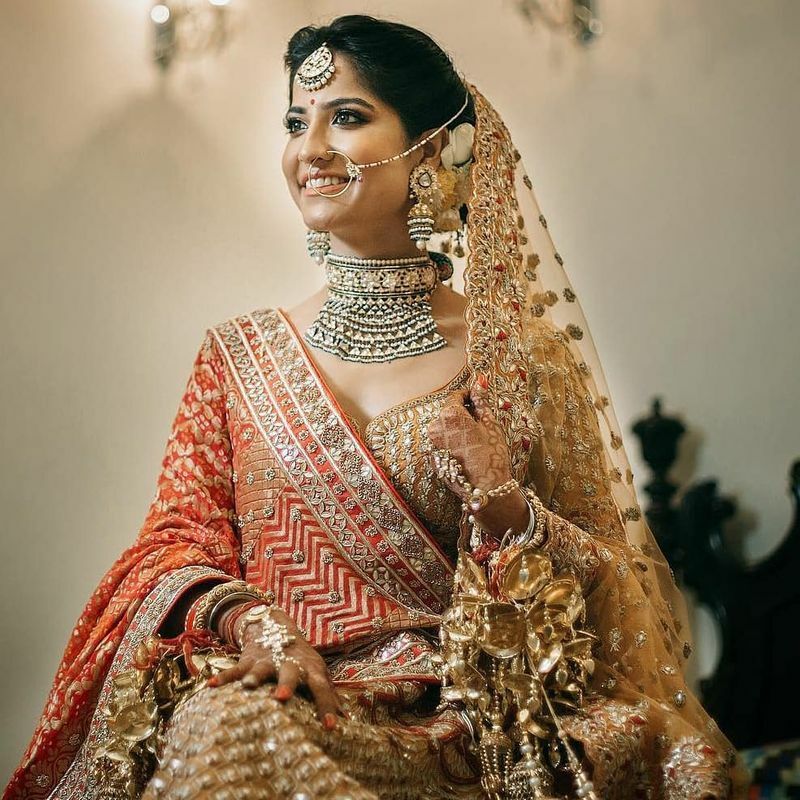 5 Classic Jewellery Pieces That Will Take Care Of Every Outfit At Your Wedding! The New Rules For Co-ordinating Your Jewellery To Your Outfit! Five New Summer Hues For Brides Who Wanna Rock Some Kickass Style!